> trap into Xen (e.g., why did we trap out of the guest context?). > and how it interacts with common Xen code. 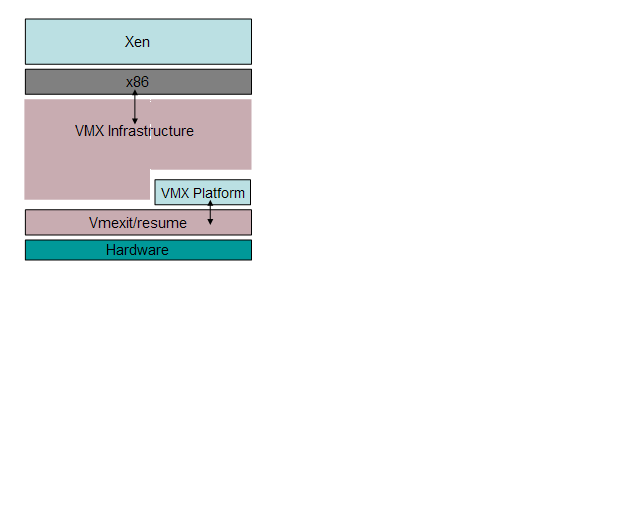 - The interface between xen/x86 and the box labelled "VMX infrastructure"
and it might just be a renaming that's required. I think it makes sense to share this code. check_guest_faults(), inject_exception() etc sound like a better abstraction.